Scientists from Wageningen University & Research and their international colleagues have successfully produced a high-quality reference genome for the rose. The reference genome will allow breeders to screen for desired variations of the globally popular ornamental plant in a much faster and more precise way. Breeders are constantly looking to develop rose varieties that meet consumer requirements while also being resistant to diseases. The latter is also important when it comes to reducing the use of chemical crop protection agents. Scientists from Wageningen University & Research have created a very detailed genetic map of the rose – which has some 44,000 genes – and produced the sequences based upon which the rose genome was construed in France. The information will allow breeders to quickly and accurately screen the underlying genes for a wide range of properties on genetic variation. According to René Smulders of Wageningen University & Research, the new genome signifies a major step forward for breeders: "The study enables them to more quickly develop new rose varieties with more petals and without thorns, contributing to their ornamental value. For example, we now know how it is determined whether a rose produces five or 100 petals. The challenge is to use the reference genome to add the extra properties consumers are looking for, such as scent, colour and resistance to diseases like mildew and black spot." The reference genome is the result of cooperation between Wageningen University & Research, INRA, Agricampus-Ouest and University of Angers (France), Leibniz Universität Hanover (Germany), ILVO (Belgium), the Russian State Agrarian University and Osaka Institute of Technology (Japan). The outcome is published in Nature Plants on 11 June. Smulders points out that this is the second study into the rose genome to be published in one month, with Raymond et al. 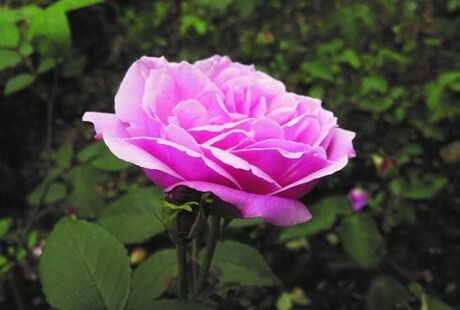 having published a rose genome with a special focus on the genetic base for colour and scent in Nature Genetics. "The added value of our research is that we found relevant genetic information on rose properties which are important to consumers, such as thorn production, the number of petals and constant bloom. It also gave us better insight into the similarity of the rose genome with its closest relative, the strawberry."